Jenkinsburg City Council members have voted to enter into a contract with the Butts County Sheriff’s Office to increase patrols within the city limits. #As part of the contract approved Aug. 13, Jenkinsburg will pay $25 per hour for one additional off-duty deputy from the Butts County Sheriff’s Office. The patrol officer will provide additional law enforcement for 12 hours per week, consisting of two six-hour shifts. City officials said this week that the added patrol should begin by the end of August and that the deputy will be compensated directly by the city. #In addition, Jenkinsburg will be required to pay a fee of $500 per month for the use of the sheriff’s office’s vehicle. However, the agreement between the city and the sheriff’s office states that the $500 fee will be waived for the first 12 months of the contract. #Butts County Sheriff Gene Pope said that the passage of the resolution on the contract is one of the final steps to be taken before the additional patrol actually begins. #Last year, Jenkinsburg moved to reopen its municipal court and came to an agreement with the City of Jackson to use its courthouse, judge and court clerk. The council in Jenkinsburg appointed Jackson’s municipal judge, Wilson Bush, to be Jenkinsburg’s judge, and Jackson’s court clerk, Jeanette Riley, to be Jenkinsburg’s court clerk. #Jackson’s municipal court also serves through a similar agreement as the City of Flovilla’s municipal court. #Pope said the sheriff’s office will continue to patrol Jenkinsburg as it normally does with its on-duty deputies, but that Jenkinsburg will pay extra to hire the use of another patrolman and cover the cost of gas and depreciation of the vehicle. He added that all the tickets written by the added patrol officer will go directly to Jenkinsburg’s court. #According to Pope, the sheriff’s office holds a similar agreement with the City of Flovilla, with the only difference being the amount of hours each city requests to have extra patrols. #Prior to adopting the resolution last week, Jenkinsburg council members also adopted a statewide ordinance known as the Uniform Rules of the Road. City of Jenkinsburg Mayor David Nestor said during the meeting that passing the ordinance was necessary to allow the deputy to write tickets in Jenkinsburg payable to the city. via Jackson Progress-Argus | Contract boosts deputy presence in Jenkinsburg. SAN Bernardino, a city of more than 200,000 in Southern California, declared bankruptcy recently. Municipal bankruptcies are rare, but not unprecedented. Vallejo, Calif., in the San Francisco Bay area, filed for bankruptcy protection in May 2008. Jefferson County, Ala., sought bankruptcy protection in November 2011. Stockton, Calif., population 300,000, filed for bankruptcy June 26. Other cities, including Harrisburg, Pa., stand at the brink. It doesn’t have to be. Residents of Sandy Springs, Ga., can attest cities can provide residents with all necessary services at an affordable price if they abandon public employment. Stockton’s problem was twofold: the housing bubble burst, reducing property tax revenues, and it bought into the notion it could spend itself into prosperity by spending on economic development and revitalization. Private investors weren’t willing to risk their money, so the city took on the projects. When private developers won’t go it alone, the market is sending a powerful signal about a project’s profit potential. Stockton’s political establishment acted as speculators with public money, and they lost. The politicians also had been betting on continuing increases in property tax revenues. In 2008, as the housing market was starting its collapse, the U.S. Census Bureau reported that property taxes accounted for $397 billion, or 72.3 percent, of local tax revenues around the country. In California and other areas with above-average property value increases, local officials counted on these revenues to pay for raises and benefits for public employees. They made a bad bet. The housing bubble burst and property tax revenues plummeted. Some cities are doing fine. Sandy Springs, Georgia’s fifth largest city, incorporated less than 10 years ago, has, in the words of The New York Times, handed off “to private enterprise just about every service that can be evaluated through metrics and linked into a contract” — by outsourcing and privatizing, in other words. As the Times noted, this raises a basic question: What is local government for? One answer is to provide steady jobs with good wages. Sandy Springs rejected that idea. Porter explained the challenge was to create a midsize city virtually from scratch. “It was obvious that an alternative model was required,” he asserted. A few cities, he noted, use private contractors to provide services such as road maintenance, water works and trash collection, but “no city as large as the future Sandy Springs” had ever contracted for just about everything, except police and fire protection — the city is required to provide that itself under Georgia’s constitution. While surrounding cities have experienced severe budget problems during the downturn, Sandy Springs has enjoyed large surpluses and built up a reserve fund that stood at $21 million at the beginning of 2010. During its first 3½ years in existence, according to Porter, Sandy Springs successfully created a police force and fire department, paved more roads than Fulton County had in the previous 20 years and opened several new parks. Outside contractors, which Porter considers partners, provide most services. 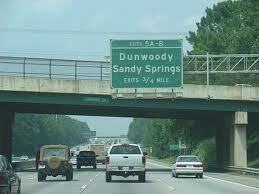 Not every American city can be a Sandy Springs, but others should try. Without reforms, more bankruptcies are virtually certain. via PETER GORDON: Georgia city avoids financial danger- The New Haven Register – Serving New Haven, Connecticut. Last year, the National League of Cities reported that some municipal governments in the United States were on the brink of bankruptcy, estimating that nationwide the shortfalls could range between $56 and $83 billion. They also reported that while three years ago there were 31 municipal defaults totaling $348 million, in 2011 there had been 184 defaults totaling $6.4 billion. And now Stockton, California, has joined the ranks of American cities filing for bankruptcy. Last week, after failing to work out deals with creditors, the city council voted to approve the filing for Chapter 9 bankruptcy protection. The town of 290,000 is facing a budget shortfall of $26 million. Stockton will be the seventh municipality this year to file for bankruptcy. Last year the city of Vernon, also in California, made news when several city leaders were convicted on corruption charges. Vernon was paying five city officials over a half million dollars a year in salaries each. The state legislature considered a bill to dissolve the city in order to merge it with Los Angeles County in an attempt to completely stamp out corruption, but it was voted down. Even while American cities are going broke, most continue to spend on incentives to lure business and to subsidize high salaries and pensions. It was reported that Pico Rivera, California, had offered Borders Bookstore a $10,833 monthly subsidy for 15 years if they would put a store in their town. Borders has since closed their doors. The St. Louis Post Dispatch reported that Bridgeton, Missouri, had agreed to finance the construction of a WalMart store to the tune of $7.2 million. TIF’s (Tax Increment Financing) is all the rage for cities that want to attract businesses. With cities all over the country that are desperate for revenue doing risky financial maneuvers to lure businesses to create the tax revenues needed to pay salaries and pensions that are unsustainable even in good times, why would anyone be surprised that more and more cities in America are going broke? What is really surprising is the number of cities who consider risky ventures and high overhead to be normal operating procedures. In addition, cities are adding zoning and procedural regulations that discourage investments in their cities, creating a double-whammy to city coffers. Are city leaders all attending the same seminar, and who is giving them such bad advice? Somehow they got the idea that city government should be run like a capitalist business, but that losses were normal and acceptable. It’s like the car dealer who sells every car at a loss, but makes it up in volume. There is another model for cities to follow that makes much more sense, and it apparently is working very well. Sandy Springs, Georgia, population 94,000, has privatized most of its city operations. It has only seven city employees, one of whom is the city manager. It does not own a city hall, instead it rents the limited space it requires. It does not own a fleet of vehicles, and pays no pensions. It has a police and fire department, but only because insurance costs would have been too high for those services to be contracted out to a private company. Virtually all other services that would normally be provided by city government are competitively contracted out to private companies. They even give a contract to losing bidders to take the place of winning bidders should they fail to meet their obligations. Even city employee contracts come up for renewal once each year. Does it work? After the community voted 94 percent in favor of incorporation in 2005, it has since saved around $90 million per year in operating costs and residents give the city highly favorable reviews in surveys about the quality of services and life in the city. The concepts of Sandy Springs government were developed by a retired AT&T engineer, Oliver W. Porter, who has written the book Creating the New City of Sandy Springs. He believes this model is a way that other cities can escape the “financial morass” that they are in. At the rate our economy is going, it looks like there are going to be a lot of cities looking for a way to make a fresh start. via Sandy Springs, Ga., prospers while cities go bankrupt | Tulsa Beacon. The Columbus City Council unanimously approved sweeping pension reform during a Tuesday evening Council session. While many cities have found themselves in court or locked in controversy over the volatile issue of pension reform, Columbus, Georgia approved their comprehensive reform with very little fanfare or notice. “I think the extensive communication efforts we used during the pension reform process to keep the employees, the Councilors and the citizens informed and engaged were critical to our success. The employees and leaders knew we had issues that had to be addressed. In the best of Columbus tradition, we came together and got it done,” stated Mayor Teresa Tomlinson who initiated the effort last summer. The reform to the city’s $266 million pension plan involves current city employees contributing 2% of their pay toward their pension plan instead of the city assuming that contribution payment for them. Columbus General Government and Public Safety employees have not contributed toward their pension plan for some 25 years. The reform also provides that new employees hired on or after July 1, 2012 will contribute 6% toward their pension benefit. Next fiscal year the reform provides that those employed prior to July 1st will increase their contribution to the plan to 4% of pay and those employed on or after July 1st will contribute 8%. The pension contributions will be off-set by a corresponding salary adjustment for existing employees. New employees’ 8% contribution will only be half covered by the salary adjustment. The institution of a contribution when coupled with an off-setting salary adjustment saves the city and taxpayers approximately $ 1.9 million in the first year of the reform and $25 million over the expected 15 year period to fully fund the city’s pension obligation. “This reform really helps us stop the growth of the unfunded liability of our current pension plan and gives us the opportunity to pay down the unfunded liability that could have threatened the plan’s sustainability in the future”, says Mayor Teresa Tomlinson. “This was the responsible thing to do and we could not have done it without the devoted assistance of employee and stakeholder involvement”. Tomlinson established a 30 person Mayor’s Pension Review Commission in August of 2011. The Commission consisted of the city’s Pension Board members, employees, affiliate representatives and knowledgeable members of the community from the private sector. “We met multiple times a month. We crammed two-years’ worth of work into 10 months. The members of that commission were invaluable to the benefit that has just been bestowed to the city and the community through pension reform”, stated Tomlinson. via Columbus City Council Approves Major Pension Reform – WLTZ 38 | Columbus Georgia Regional News & Community. The appellant has filed a petition for review in this case asking us to reconsider the initial decision issued by the administrative judge. We grant petitions such as this one only when significant new evidence is presented to us that was not available for consideration earlier or when the administrative judge made an error interpreting a law or regulation. Columbus- Mayor Teresa Tomlinson unveils her proposed budget for the next fiscal year and says there are some challenges but nothing that can’t be fixed. 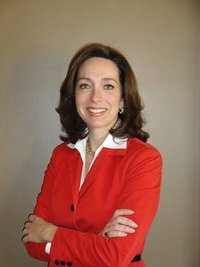 During Tuesday night 2013 budget unveiling, Tomlinson outlined her proposed $266,881,380 budget, a 1.08% decrease from the last year’s finalized budget. Among the top issues for Mayor Tomlinson was the need for city employees’ pension reform, a problem she spoke about in her ‘State of the City’ address earlier this year. Tomlinson hopes the proposed pension changes will be made this fiscal year or the budget will not work. via Mayor Tomlinson unveils 2013 Fiscal Year proposed budget, calls – WLTZ 38 | Columbus Georgia Regional News & Community. Authorities say Francois Sainfort was sentenced Monday in Fulton County. Sainfort and his wife, Julie Jacko, were charged a year ago with conspiracy to defraud, theft by taking and making false statements. Authorities said the duo was double-billing the universities, and that Sainfort sent an email to Georgia Tech officials in February 2008 lying about whether he and Jacko had signed a contract with Minnesota, where they are currently employed. The charges against Jacko were dismissed. Sainfort paid $43,578 in restitution. Their attorney, Martin Goldberg, did not return a call for comment. Georgia Tech officials declined comment. via Ex-Tech professor admits lying over employment | ajc.com.